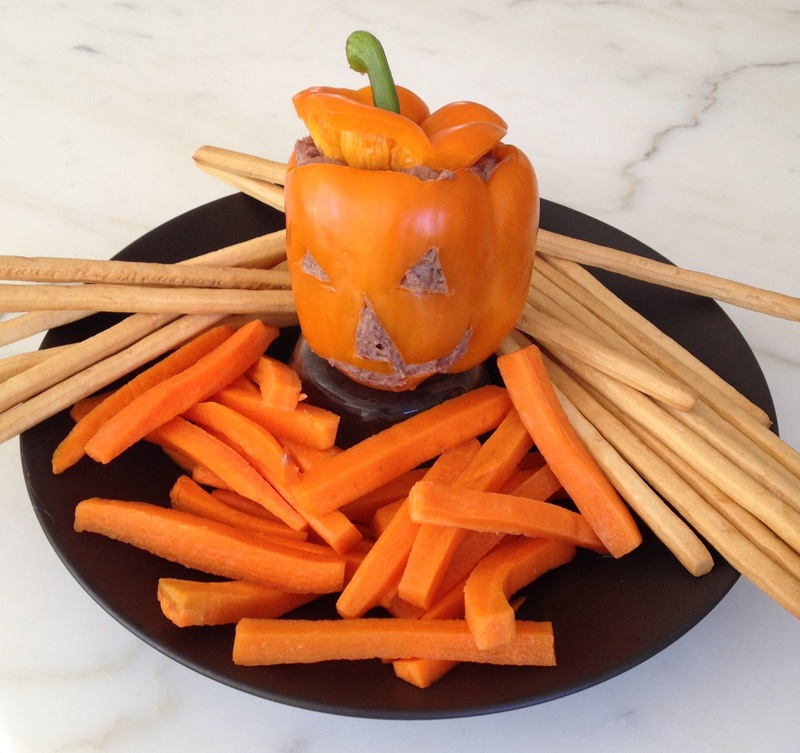 I promised my husband I wouldn’t get carried away with the Halloween blog posting, but the kids still need a healthy after-school snack, don’t they? 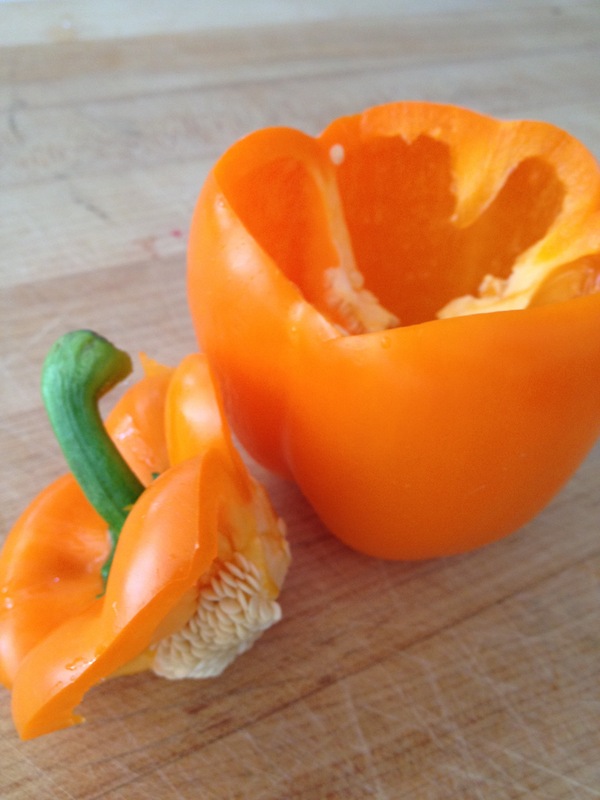 Orange bell peppers make festive (and edible) dip vessels, and are a lot easier to carve than pumpkins. 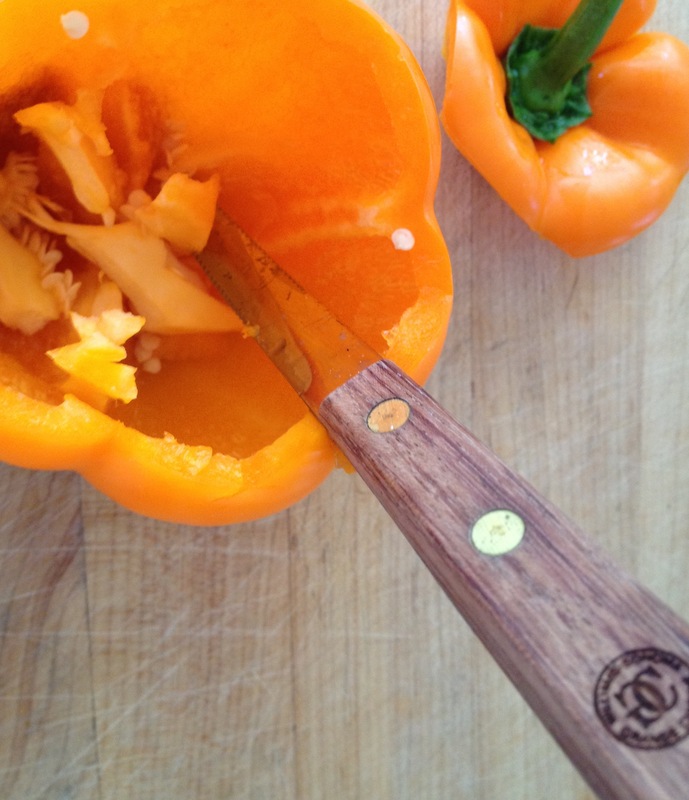 Cut off the tops like you would for a jack-o-lantern, then use a grapefruit knife (what do you mean you don’t have one?) or your hands to remove the inner membranes. Rinse out any seeds. Carve a simple jack-o-lantern face. 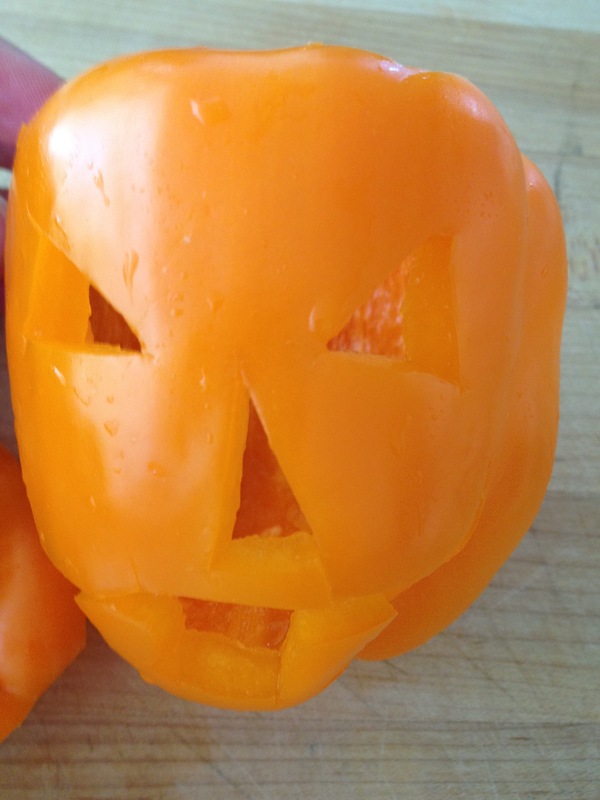 My nose and mouth were a little too low; try to keep the “face” on the flat part of the pepper, before it curves under. This will keep the filling from oozing out too much. 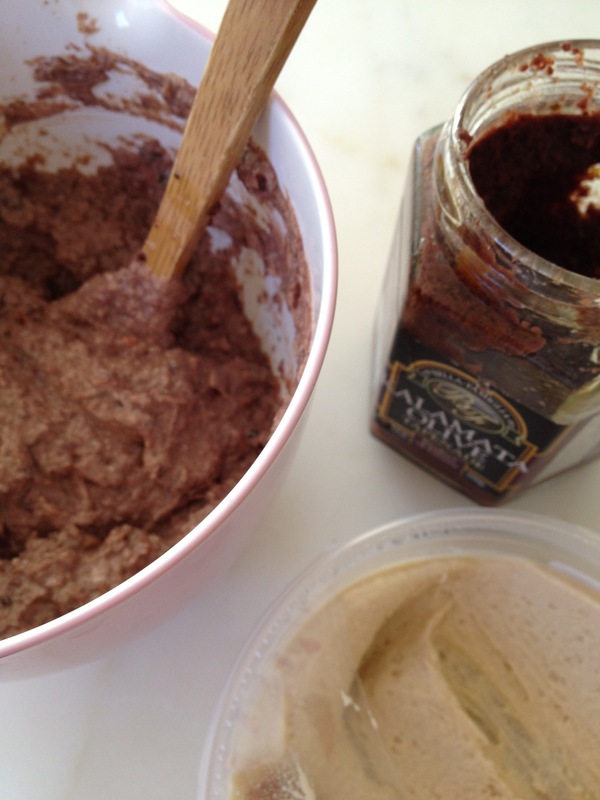 Fill with a dark-colored dip, such as black bean or a 50/50 mixture of hummus and olive tapenade. (The stuff Peyton Manning keeps talking about in his DirectTV commercials.) I used about 1/2 cup of store-bought hummus and 1/2 cup of store-bought kalamata tapenade. For a better presentation (since I messed up the face), I elevated the pepper jack-o-lantern with an upside-down custard cup. 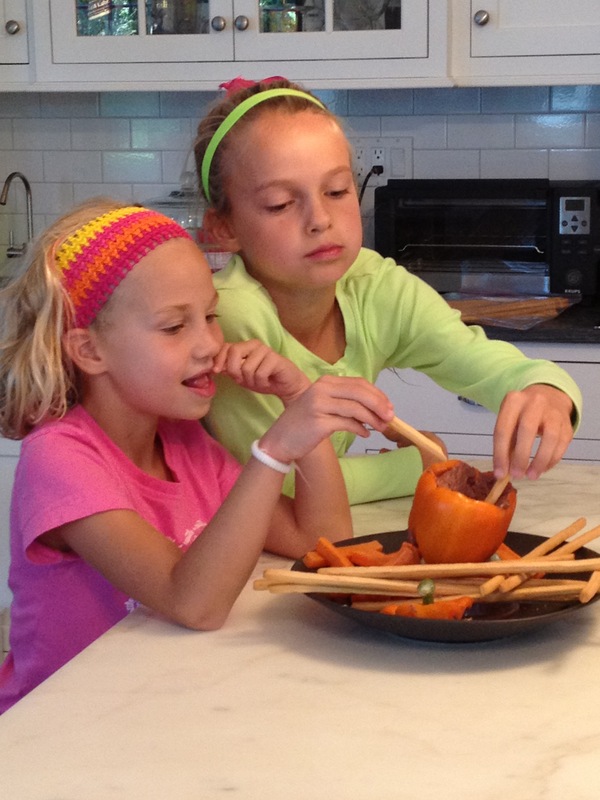 Serve after school (or at a Halloween party) with carrots and breadsticks. 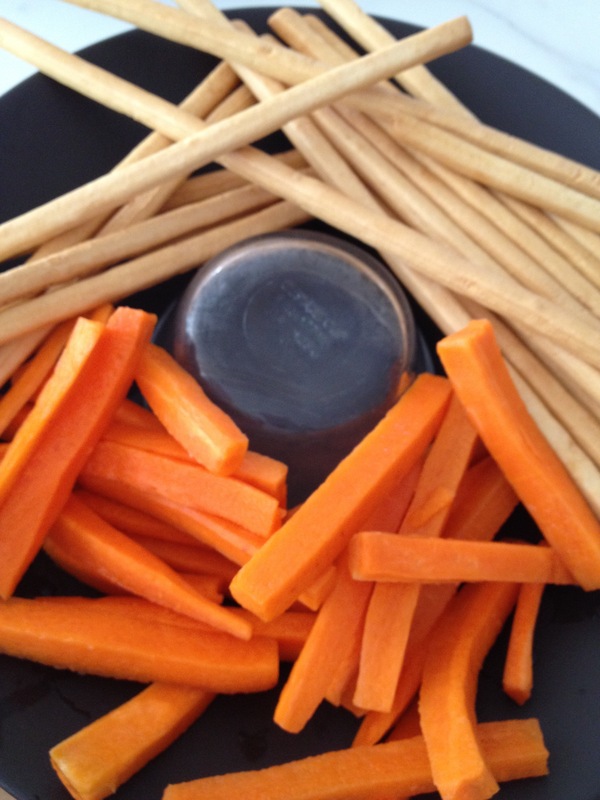 And don’t forget to eat the pepper afterwards, unless you’re wary of double-dippers. . .